Mary Kay recently released their new cream eyeshadows. There are currently 4 colours available. It's a long wearing formula that's supposed to last for 10 hours, dry quickly and doesn't transfer. Like all cream eyeshadows, they work well alone or as a base to brighten powdered eyeshadows. 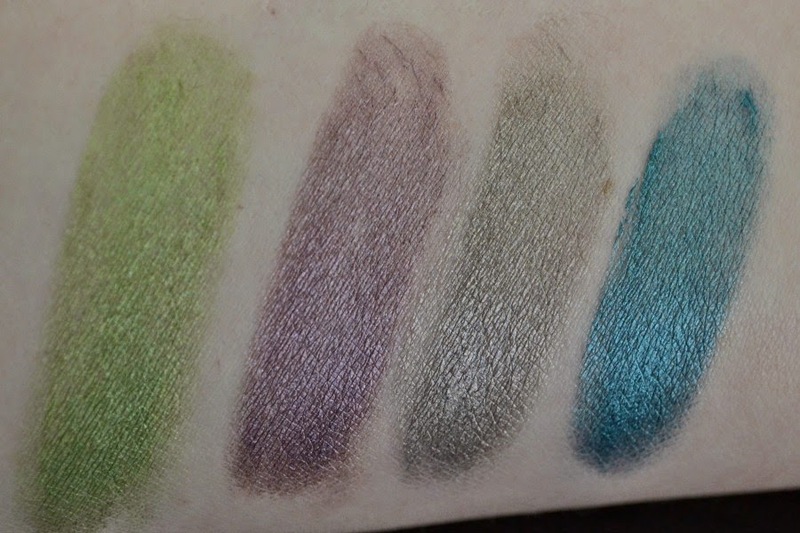 Before using them, I first photographed and swatched them. They felt soft and creamy when I was swatching it onto my arm. 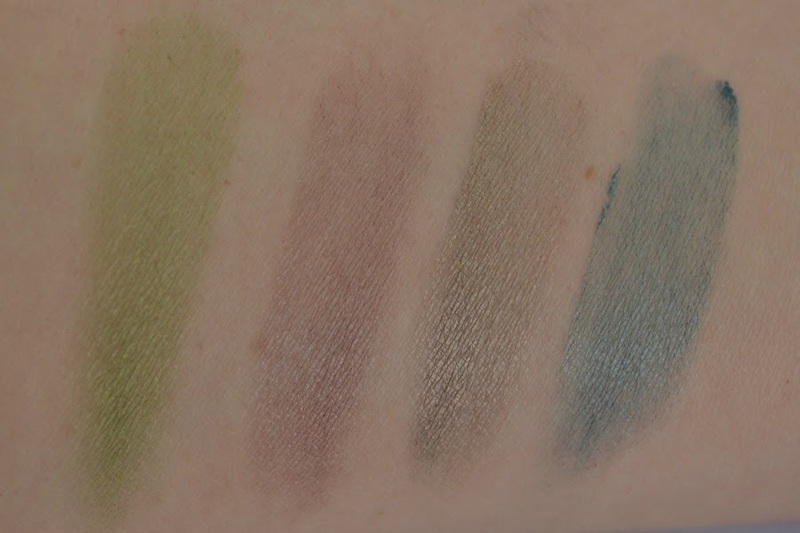 Here are the 4 colours swatched once, lightly on my hand. There's enough pigment to give a light wash of colour, without being too bright. And then I built up the colour with another 2 layers. It really makes the colours pop and gives them more dimension. Finally I then tried them underneath powder eyeshadows. I used colours that were similar to the base colour. I used different finishes and different brands to see how effective the cream eyeshadow would be with different pigments and quality. 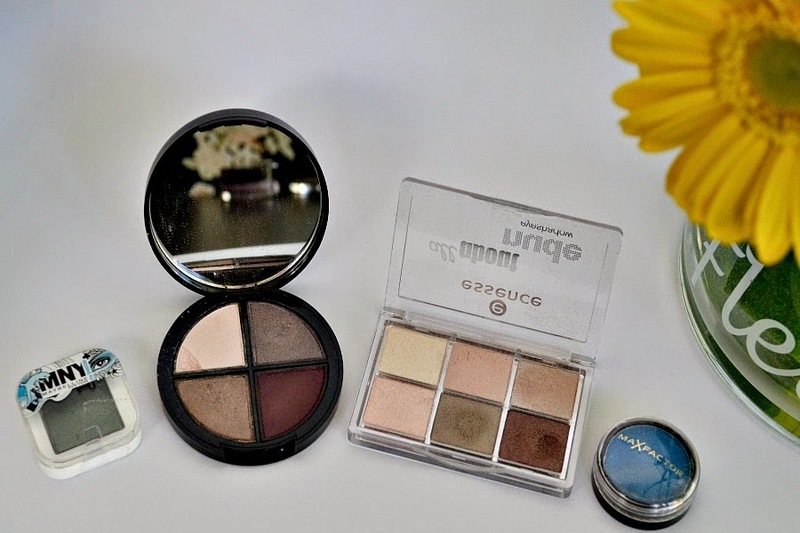 I used eyeshadows from Maybelline, ELES, Essence and Mac Factor. 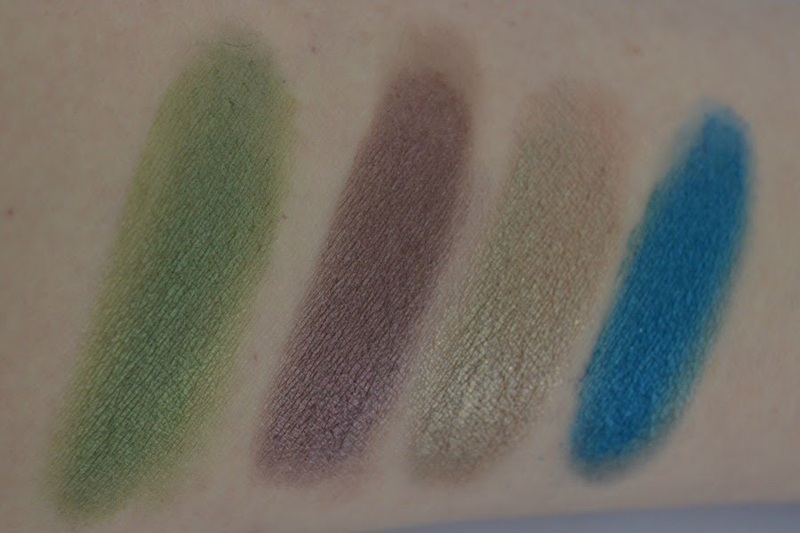 I've been trialling the cream eyeshadows over the last 2 days and wanted to do a first impressions review. On Saturday, I used Glacier Grey as an all over lid colour, followed by Violet Storm along my crease. To stop the colours getting muddled, I let the base colour dry then used the crease colour. I applied both colours with the Mary Kay Cream Eye Color/Concealer Brush* and wiped the brush on a tissue after using the first colour to make sure I didn't dip one colour into the other. In the afternoon, I did notice a small amount of creasing. I just went over my crease with the brush and it disappeared. I normally do get creasing (with cream products) but didn't use an eye primer so I could see how effective it was on oily eyelids. On Sunday, I used the Glacier Grey again as a base colour, followed by a powder eyeshadow. The cream eyeshadow sets really quickly (within 2 minutes) and I used a Real Techniques eyeshadow brush to apply my Trish McEvoy light brown eyeshadow, from the Beauty Emergency Card palette. Using this technique I had no creasing. With the cream shadow underneath, it made the Trish McEvoy powdered shadow go from a satin finish to a gorgeous metallic sheen. I love the effect as it makes the eyeshadow look more multidimensional. The cream brush is fantastic. It's easy to use and isn't too large, so it's great for those (like me) that have smaller eyelids. Because it's made for cream shadows, you can also use it as a lip brush as well as a concealer brush. These are fragrance free and are perfect for anyone with sensitive skin. They retail for $24 each for 4.3 grams. While they aren't expensive, they're pricier than the Maybelline Colour Tattoos or the Face Of Australia Budge Proof Cream Eyeshadow. I've really been impressed with these over the last 2 days. I'd love to see more colours in the range. A brown, grey, white, pink and orange would be fantastic additions to the line. Mary Kay also sell individual Mineral Eye Colors (eyeshadows) in a variety of colours. I haven't tried them but from looking at the website, they look amazing!! There's so many different colours that would work well with the Cream Eye Colors. If you live in Australia or NZ, you can purchase MK here. Do you use cream eyeshadows? Do you prefer to apply them using a brush or your fingers? They're great! You'll love the colour. It's so wearable.